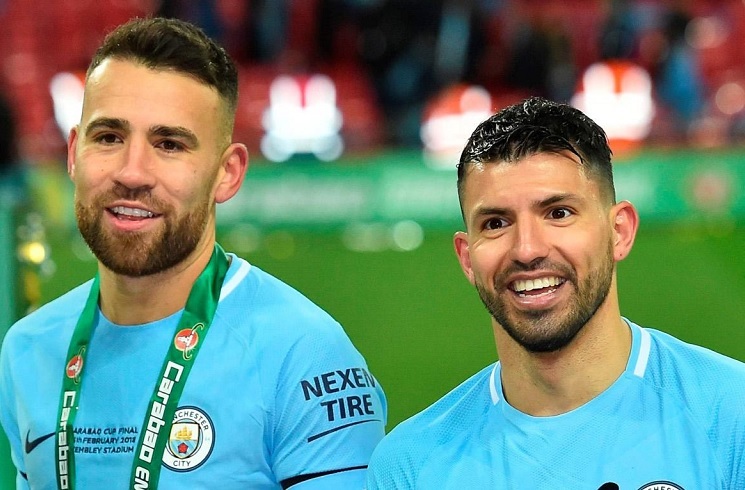 Nicolas Otamendi and Sergio Aguero with Manchester City. A total of 15 Argentine players will take part in this season’s English Premier League. Last season’s league winners Manchester City will continue to count on their two Argentine representatives, Sergio AGUERO and Nicolas OTAMENDI. Meanwhile, neighboring Manchester United will have Marcos ROJO and Sergio ROMERO although ROMERO will be the second choice goalkeeper. For Arsenal, Unai EMERY comes in as coach to replace long time Arsene WENGER but Emiliano MARTINEZ will likely find minutes hard to come by with Petr CECH and Bernd LENO ahead of him in the goalkeeping pecking order. 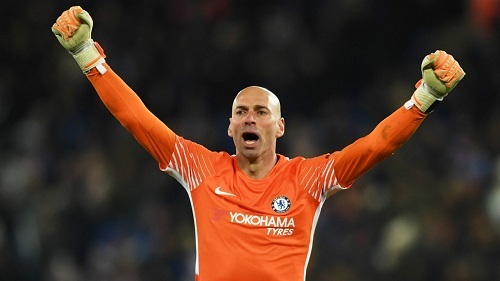 Chelsea have Willy CABALLERO, who had a disastrous FIFA World Cup with Argentina as their back-up goalkeeper. Thibaut COURTOIS has joined Real Madrid but the west London side have signed Athletic Bilbao goalkeeper KEPA. Long time servant of Crystal Palace Julian SPERONI has been with the club since 2004 and now 39 years old, only played 11 matches for his club last season. One time hot prospect Luciano VIETTO has joined his first club in England as he made a season long loan deal switch over to Fulham. The former Racing Club striker will hope to revitalize his career in England. Runner up with Argentina at the 2014 FIFA World Cup, Federico FERNANDEZ remains in the English Premier League. After being relegated to the Championship last season with Swansea, FERNANDEZ has joined Newcastle United. Tottenham Hotspur boast the only Argentine manager in the Premier League with Mauricio POCHETTINO at the helm. They also have the most Argentine players in one club in England with Erik LAMELA, Juan FOYTH and goalkeeper Paulo GAZZANIGA (one of five Argentine goalkeepers in the league) all wearing the legendary kit. 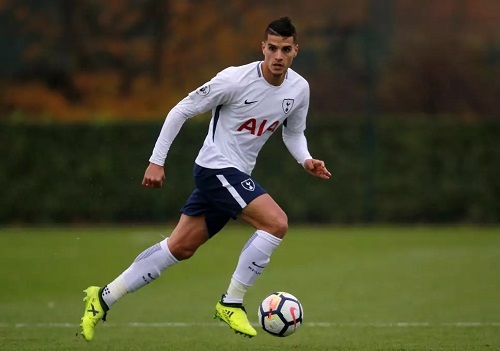 Erik LAMELA recently signed a contract renewal which would keep him at the club until 2022 and will hope that a proper run of form could get him back in the Argentina National Team. Former Estudiantes defender Juan FOYTH made only eight appearances last season, not a single one coming in the league. Paulo GAZZANIGA will be the second choice goalkeeper with World Cup winner Hugo Lloris as first choice. For Watford, it’s Roberto PEREYRA who like Erik LAMELA, will hope to get minutes and impress enough to get called-up to the Argentina team. West Ham United have two Argentine players but will only be able to count on one for the foreseeable future. Manuel LANZINI who missed out on the World Cup due to injury is expected to be out for most of this season. That leaves veteran Pablo ZABALETA as the only Argentine in the squad. Pep Guardiola will love to coach this team if he were free from contract. I think even if AFA contacted him really, he would have accepted the challenge. The current situation is perfect for him, he has 3-4 years to rebuild the team and he knows well some of the players. The coach of Manchester City denied any kind of approach from Chiqui Tapia and was annoyed. “To say that you can not hire me for my salary, first you have to talk to me and know everything,” he said. 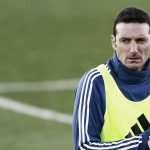 Claudio Tapia had announced last Tuesday that AFA had made an attempt to hire Josep Guardiola, but said it was impossible for economic reasons. However, this morning the coach himself denied his statements at a press conference and showed his disagreement with what happened. 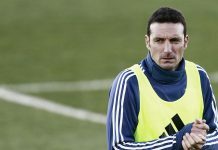 “I’m a little disappointed, because the president of the AFA can not say he could not contact me because my salary is extraordinary, to say that he has to talk to me and know everything,” said the Manchester City coach. Tapia lying about attempts of hire Guardiola and Pep dementi about any asks. Nothing new. That is normall standard of AFA corrupted montherfuckers. Do not expectate they will take best possible coach. They will take coach who will not be threat for ancient regime and will look attarctive for the public. I read your previous news post. So, we are both Velez followers now? For me the team is 1st in rank to watch as well. The young generation headed by Vargas. Robertone, Dominguez, De La Fuente, Ortega, Delgadillo maybe in a little while Almada. Plus new additions like Gaston Gimenez. They need time together to deliver as a team but the induvidual talent is there already. The first match yet this night. And I agree about best pair of fullbacks in League – Abecasis, Angileri. @Gonzalo, absolutely! I really hope and pray that Heinze’s project is a big success because the benefits it could have for Argentine football are massive!!! Velez slowly improved when Heinze came on and by the end of the season (last 5 games or so) the team became a true force and I really hope they continue with the momentum. I wish River and especially Boca would follow suit because their youth academies are renowned in SA and while Gallardo is giving chances to the likes of Quatra and palacios, Boca seems to have foregone the youth and just go for the immediate success. Yes, unfortunately Boca acts like Real and Barcelona. Velez, Defensa, Rosario Central, Argentinos, Estudiantes are best currently on youngsters promotion. Everyone who watched Argentina – England in that 2017 U-20 WC may admit we were just better most of the game than that England golden team. We had opportunities and initiative, England had counter attack goals goals. RB Montiel of that U-20 team from River is one of best candidates on NT RB position. His position in River starting eleven is even stronger than Palacios. Montiel, Bustos, Jose Luis Gomez, Leo Godoy, Leo Jara. @gonzalo. How did Montiel, Quarta Martinez, Palacios and Zaracho play last night in Racing vs River? Palacios was best of them IMO. Hardworking game for him. Contributed a lot in defence. Tried few runs. Martinez Quarta very good defending though there were moments when he could got second yellow. Montiel also good defending. Without attacking moments as River was playing away and 10 men most of the game. Zaracho quiet game. Match of fight. None of the best players shined: Pity, Nacho, Centurion and so on. Thanks. And tonight superliga begins. Hope to get reports on the performances of youngsters regularly. Yes Argentina totally dominant , Santiago collombotto best player of the match, England scored through counter attack & our goalkeeper was poor. I agree with the GK and the fullback assessment but in the DM position there are Ascacibar and Battaglia, Caseres may also prove to be a contender for the position if he performs for Villareal this season. Ofcourse it’s unproven because nobody thought to give Ascacibar and Battaglia a chance and instead Argentina were stuck with has beens like mascherano and biglia! Still I’ve watched Ascacibar with Stuttgart and he’s been fantastic and it’s not just me, the german media and fans rate him very highly also. As for Battaglia, well he’s been excellent for sporting and I think he’d make a good backup for Ascacibar, not to mention that he can also play as a RB. As for CB, well there is Pezzella who I think should be a starter for the NT. 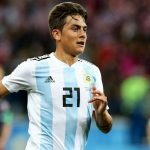 Mori is another option especially if he has recovered well from his long term injury and becomes a starter for Villareal and there is also mammana who is a true and proven talent and hopefully he’ll recover well by the end of the year because he could be the answer to the RB problem. Foyth and conti have potential but the jury is still out on both of em. The GK thing is an issue, although I still think that Rulli and Andrada are capable GKs and Romero can still play an important role. Despite 5 GKs in the league there’s nothing in it for the NT as all of them are bench warmers. People having high hopes on Foyth should hold it a bit, first he has to earn his place in the first eleven then he has to show us he is good, and that’s a long wait. If Pochettino, who gives chance to youngsters left, right and centre is hesitant to risk Foyth then you really have to doubt the kid’s quality. Lamela, Lanzini, Aguero, Otamendi and Romero would be the ones I’d look after. Vietto another one, but with Icardi and Martinez impressing, his chances seem very slim. Hopefully Lanzini comes back stronger than ever! I hope Paredes, Kranevitter, Mammana, Rigoni all leave Zenit to join bigger clubs as well. – Banega is impressive as well with Sevilla at the moment in Europa league Qualifiers. – Di Maria on fire for PSG as well. – Pavon once again impressive for Boca in the Conmebol Libertadores against Libertad (how convenient). Leonardo Jara was also good and should be considered to be the RB for Argentina! 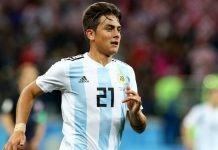 – Have yet to see Messi and Dybala in action, although it will be curious how each of them fare, as Messi will now have a new midfield feeding him, and Dybala having Ronaldo as his mentor. Reasons to be optimistic! Hopefully, we get to see MAD (Messi, Aguero, Dybala) play together in the Copa America! Their combinations would be deadly! Banega is probably the most creative midfielder Argentina has at the moment and should be a starter as well, along with probably our best DM at the moment Paredes, and most likely either Lamela or Lanzini completing the midfield. With a back line of Jara, Pezzella, Otamendi and Tagliafico, and either Rulli or Romero between posts, Argentina would be set! Reasons to look forward to the future! Vamos Argentina!!! Well, like Lanzini earned his call up by impressing with West Ham, Roberto Pereyra will also have to impress at Watford. At 27 he still has a lot to offer for Argentina, so he has a shot! He’ll have stern competition though, over the likes of Lamela, Lanzini, Banega with Sevilla, Paredes/Kranevitter/Rigoni all at Zenit, Lo Celso at PSG so he’ll have to really prove his worth! Let’s hope for the best! If pereyra gets his injuries under control then he could be quite invaluable for the NT because he’s quite a good player. Sorry but this sounds familiar and naive. I heard that before. Easy recipes for winning by collecting dream teams rarely bring best. Not to mention about Di Maria or Banega good club performances – it’s long time not any indicator of their NT usufulness. We have too many such ‘only club stars’.